Guest Writer Aram Balakjian shares his reasons to visit Colombia and why it is more than cocaine. There are few countries so bound by a single association as Colombia is to cocaine. In many corners of the world, Pablo Escobar simultaneously stands as the most famous drug lord of all time and the most famous Colombian. Yet Colombia is a country rich in diversity, beauty, and ecology (in fact it is the second most bio-diverse country in the world after Brazil). Cocaine? It’s a mere footnote. Here are 15 reasons to visit Colombia. 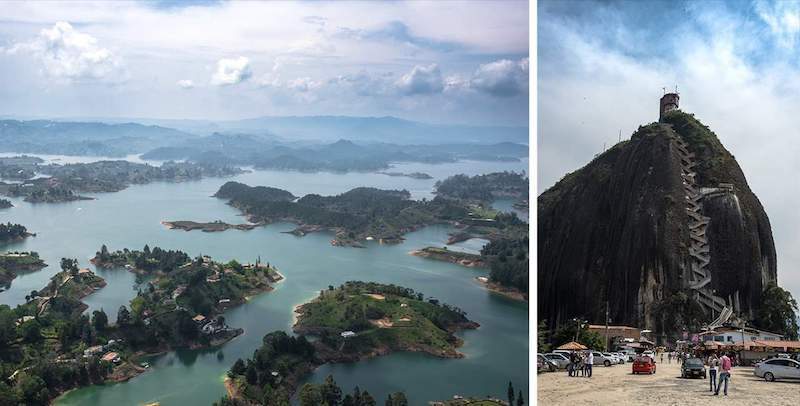 The view from the top of “La Piedra” (The Rock) in Guatape, a climb of 649 steps. The reservoir was formed during construction of a hydroelectric dam in the 1960s and now produces approximately 13% of Colombia’s electricity. 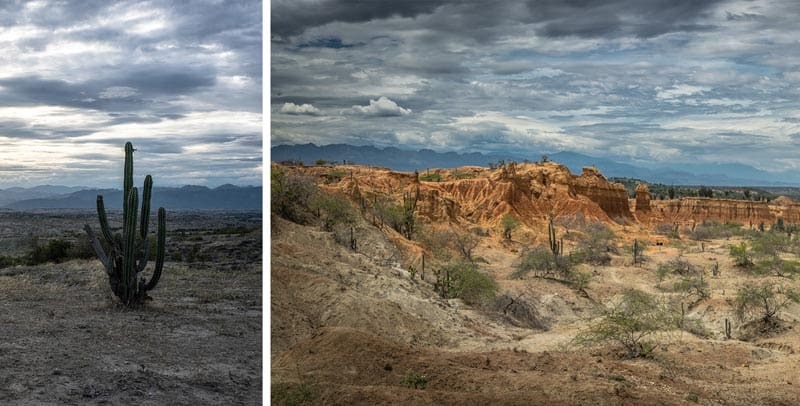 The view out to Tatacoa Desert, a tropical dry forest with a rich, colourful terrain, teeming with life both past and present; it is considered one of the largest vertebrate fossil sites in the Americas and as such has been designated a UNESCO world heritage site. 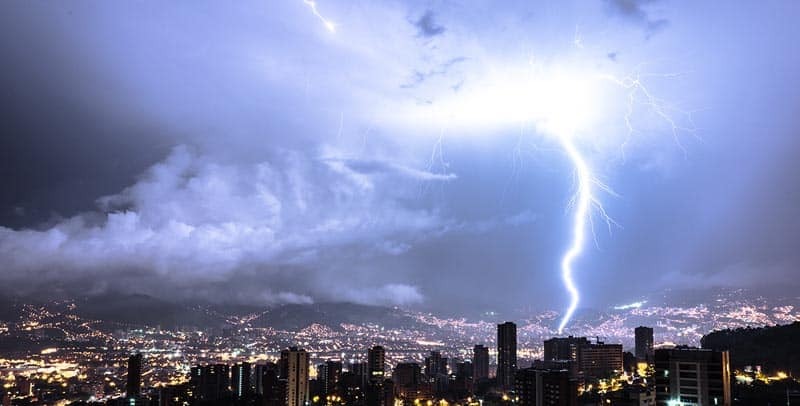 As the rainy season arrives, lightning strikes the city of Medellin. Because Colombia is hot and mountainous, storms are often delivered in epic fashion. At peak times of the year, these storms form a constant dramatic backdrop to the city. The view down to a small lake in Los Nevados National Park. Altitudes reach over 5,000m in the park, meaning visitors often find themselves observing brutal rock formations, cascading waterfalls and snow capped volcanoes, through passing clouds. 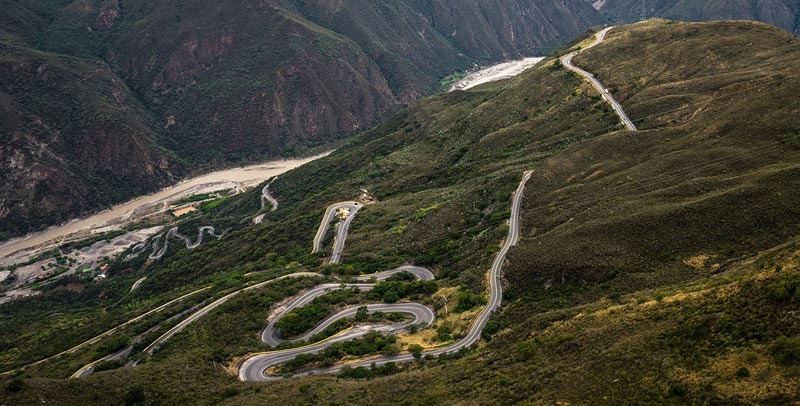 The road which winds its way through Chicamocha Canyon is a great driving experience, with the scenery to match. Chicamocha Canyon is over 2km deep and is considered Colombia’s own Grand Canyon. In true Colombian style, it even has a mini theme park at the summit! 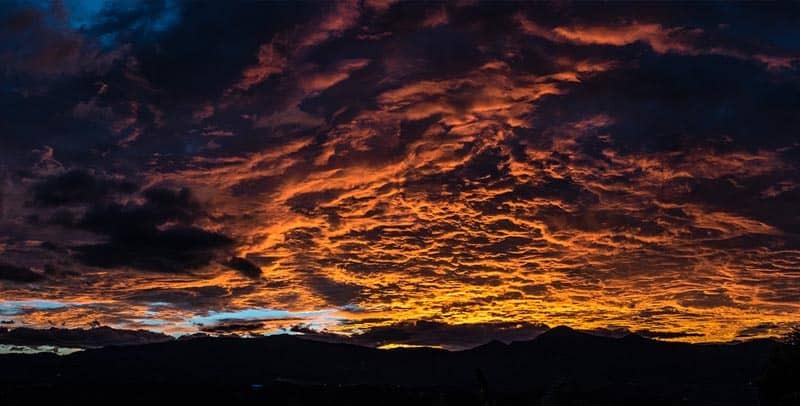 Due to the intense sunshine and changeable clouds, sunsets in Colombia can seem to set the sky alight. This one was captured over the town of Chachagüí. Biodiversity does not just mean plants and animals, Colombia has a myriad of edible diversity too! 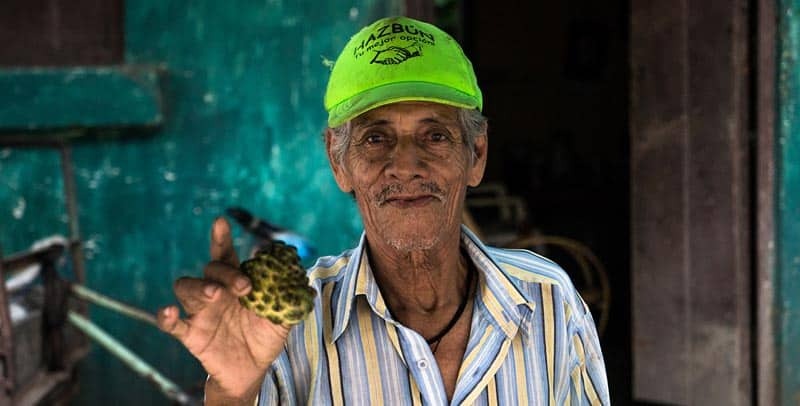 Here a man holds up a Cherimoya (Custard Apple) he is selling. Inside the fruit is filled with hard black seeds which are covered with a sweet silky skin that can be gently sucked off, one by one. It’s an odd thing to claim, but once you have seen the incredible wax palms of the Valley called Cocoura, you will understand why it is a claim worth making. The trees here can reach heights of up to 60m and cover the green rolling hills like goose-pimpled hairs. The “Trampoline de Muerte” (Trampoline of Death) is also known as “Adios mi vida!” (Bye bye my life!). 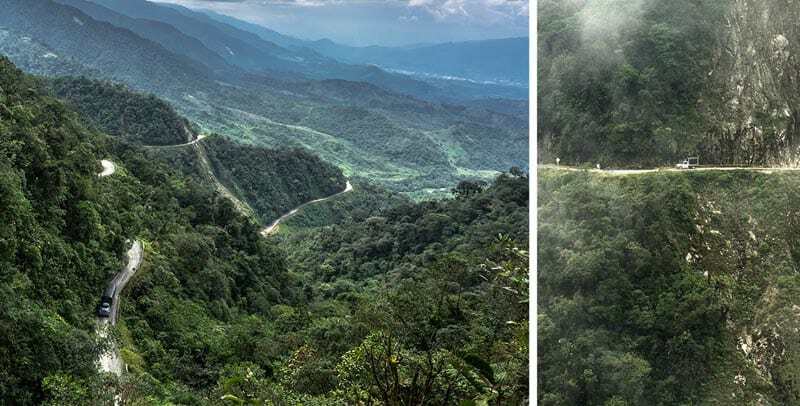 It is Colombia’s most dangerous road and it’s not hard to see why. Despite work in recent years to add barriers, large sections of this dirt road, which is prone to landslides, remain unprotected from the sheer drops. In 2011, more than 500 people lost their lives along this route which connects the town of Mocoa (home to the recent tragic landslides) to the city of Pasto. When you fly from Bogota to Leticia, the Colombian town deep in the Amazon Rainforest, all you can see out of the plane window is endless green canopy, for two hours! Once you arrive, the Amazon has endless wonders to offer the adventurous explorer. 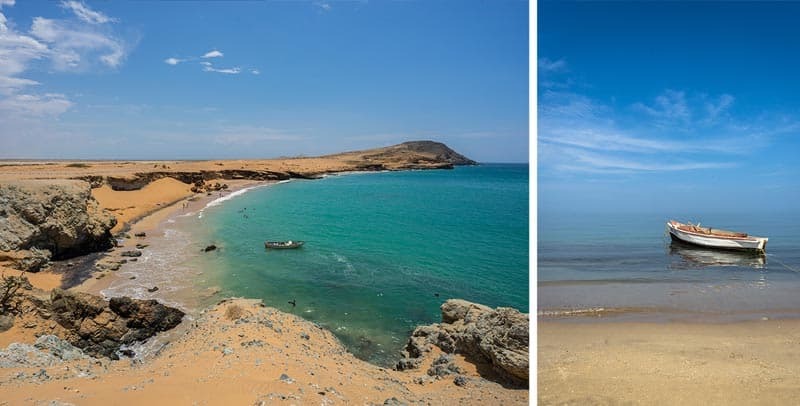 Right at the top of Colombia is La Guajira, a vast desert which is virtually untouched by the modern world. Here, on the northern most tip of South America, the deep turquoise of the Atlantic ocean washes up against golden sands, populated by little more than pelicans and crabs. 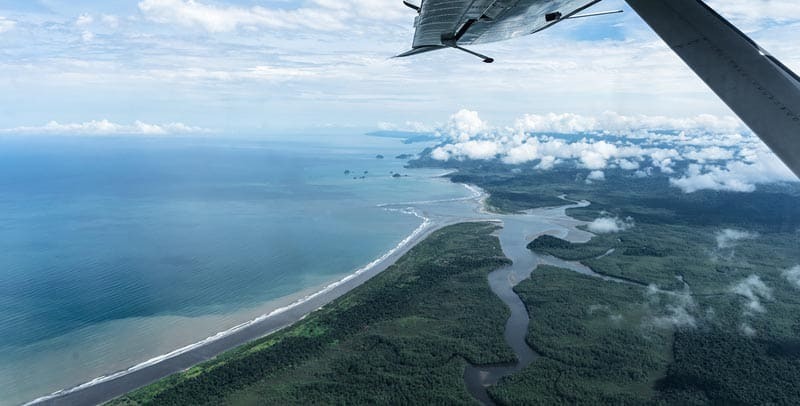 Cross over to the other side of the country and you will find an equally isolated coastline, only this time it’s the Pacific ocean that crashes against long white sand beaches that lead directly into the wild rainforest. And if you are lucky, you might catch a glimpse of the whales that bask in the deep waters a little way from the shore. The Colombians take their Catholicism very seriously. So seriously that they built Las Lajas Sanctuary in this canyon. The church was built between 1916 and 1949, inspired by a miraculous sighting of the Virgin Mary at the site in 1754. Colombia does not just do landscapes, it does epic landscapes. 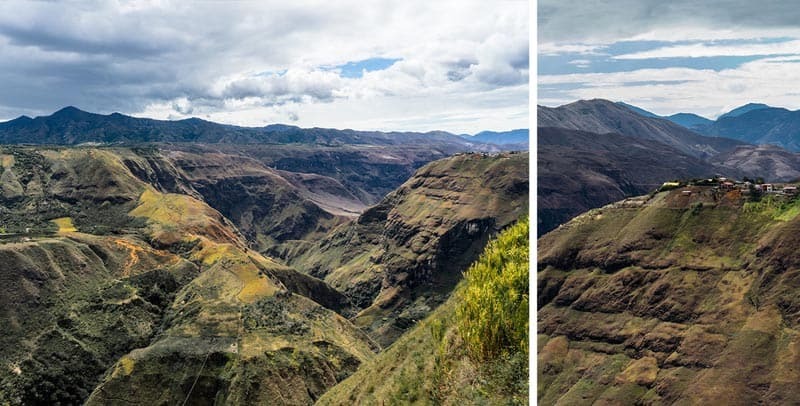 This is the Juanambú Canyon – 50km north of Pasto – which has been carved into the rock over thousands of years by the flow of the Turbio river. Where Colombia’s diversity really shows through, however, is in its people. 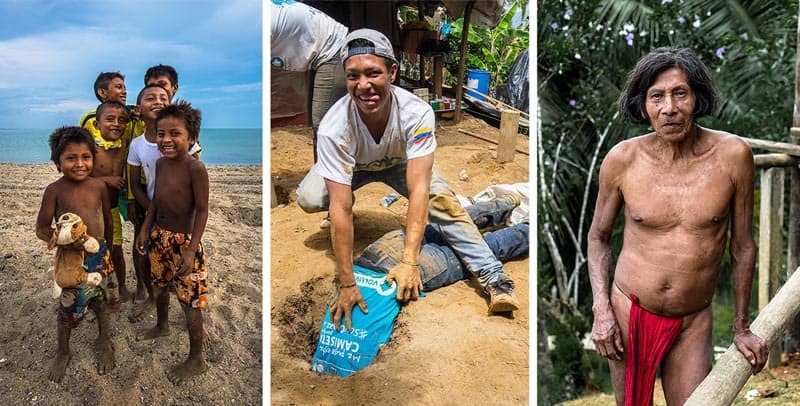 From the kids playing on the isolated beaches of La Guajira, to the indigenous people of the Pacific coast, to the enthusiastic young volunteers building homes in Medellin’s favelas, Colombia is as diverse in its population as it is in its ecology. There is one thing that all Colombians have in common, however: their genuine smile. About the author: Aram Balakjian is a traveller, photographer, and writer from London. He recently spent 7 months in Colombia exploring the country. Check out his blog The Road Untold and follow him on Instagram, Facebook, and Twitter. 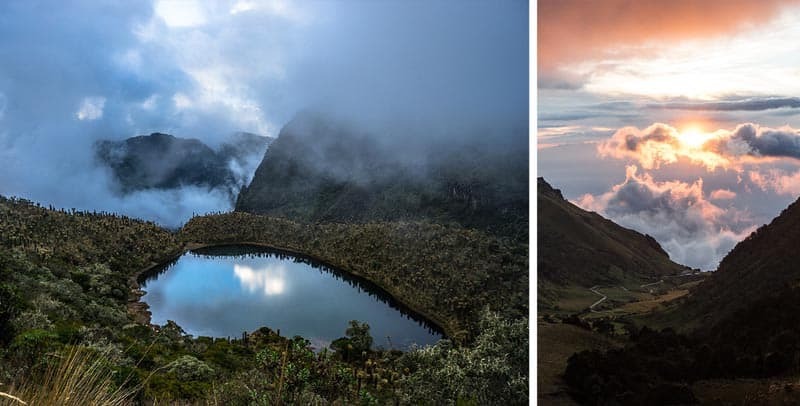 19 Responses to "15 Reasons to Visit Colombia"
Inspiring article and fantastic photos. But how exactly could one of the most dangerous roads on earth dubbed ‘adios mi vida’ be in a bcuket list of reasons and motives to visit Colombia? 😉 I do think we found our next estination though! Loved your Photos. but, Someday we hope that articles praising Colombia will not start with cocaine and Pablo. It hurts the country to continue with this bad rep. Wouldn’t you think tice before visiting or investing after reading your intro?We have made great strides since hewas killed, winning all sorts of international acclaim. You didn’t emphasize that. Great country with so many cool cities to visit, can’t wait til we can go back! Colombia is one of my favorite countries from my travels across South America. Truly a spectacular place. Thanks for trip down memory lane. What a beautiful country, not to mention your photos. They are just excellent! 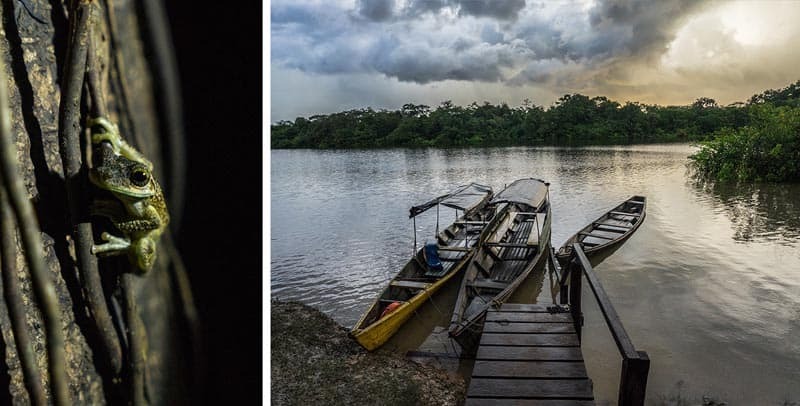 Articles like these really show the beauty of a country, so people can see the real Columbia – and not just what they have heard or seen on TV. I have almost always found the people to be the best part of each place I have been to. It is always great to spend time with, and get to know, the local people. Aram… continue taking photos. I really enjoyed them. Beautiful article! Colombia is a truly amazing place. Colombia’s equatorial position affords it a diversity of landscapes matched by few countries. People there are incredible, who ensure you leave with a different impression than the one you landed with. Great post! I cannot wait to go to Columbia! We are planning on heading there this next winter. 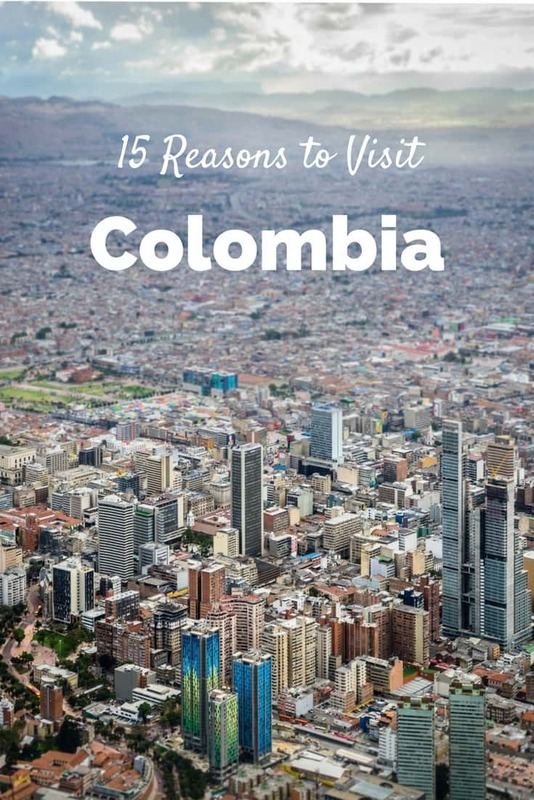 How long do you suspect would be enough time to spend in Columbia to see a lot of things? I know it’s a strange question, but we have wanted to go for years and almost did from Panama in 2015 but the ferry couldn’t bring our car we drove from the states over until September. It was July. So we didn’t make it. We can’t wait to go however and your post only wets the appetite even more. Thanks! I had to read this after seeing the featured image of Guatape. That place is surreal and climbing to the rock is an adventure in itself. Not to mention one of Pablo’s old houses is located along the water. Wow! You make me crazy for Colombia. It makes me like to book my tickets now for Colombia. Great Pictures, Good to Read! I am also traveler and love to visit on different places. I didn’t know these things about Colombia. Colombia is truly an underrated country with a bad reputation that it doesn’t deserve. You have shown some of the best sides of an incredible country – but I´m sure there´s so much more hidden beauty to be discovered! I feel like Colombian culture has something in common with Brazilian culture: open, friendly people, breathtaking landscapes and nature, and a love for music and culture. I loved Rio when I was there, and loved the mix of modernity and nature that you can also find in Colombia. These photos are absolutely stunning! There are so many things about Colombia, This gives a virtual tour of Colombia with your photos. Thanks for sharing this wonderful images with us. I love the title of this. Yes, there’s plenty of reasons to visit Colombia other than the cocaine, lol. 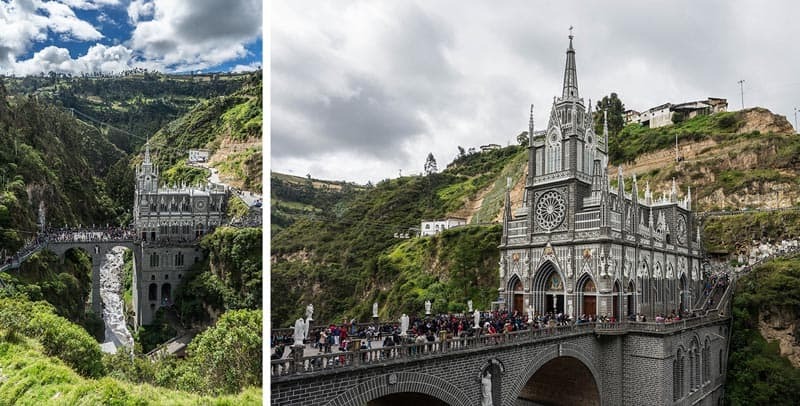 When I was originally planning my trip there, I was so stoked to go to Las Lajas! It looks stunning. Unfortunately my trip got postponed, so I’ll be making it a priority for later this year. Wow! Looks like a country with a little bit of everything. 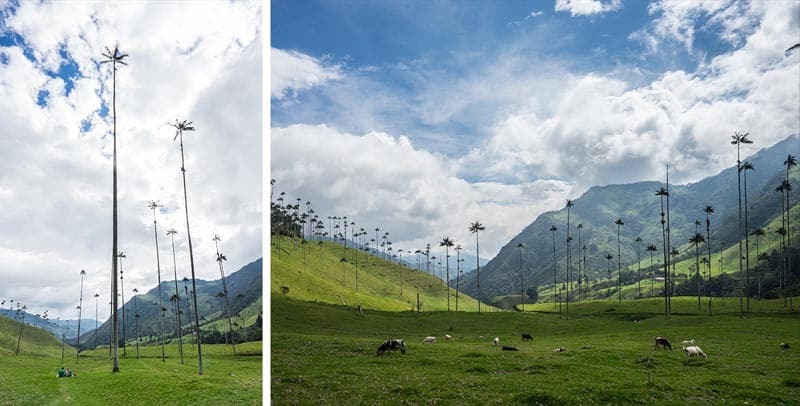 I’d love to see those palm trees – I’m so used to only seeing them in deserts that I’d love to go somewhere green enough for cows to graze beneath them. And odd and wonderful sight! That’s the great thing . If you don’t have much money, you can travel for really cheap. If you have a lot of money, you can find really nice accommodations, and it’s still not very expensive compared to other countries.